What are healing crystals? They are crystals, a pair of Clear Quartz Crystals that are used to detox and heal your emotional, mental, physical bodies, your Aura and the Ethereal energy field. 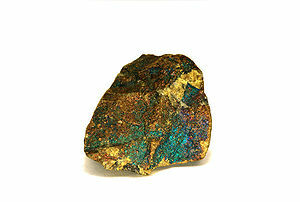 They can be used alone or in conjunction with other crystals and minerals. What do these crystals do? These special crystals enable the user to direct pure Divine Energy into and through their physical body. Using crystals is a natural way to enhance the body’s own healing capability, to process energy at a higher rate of vibration. Before you can begin using Clear Quartz Healing Crystals during healing sessions, it is essential to choose or allow the crystals to choose you. One of the best ways to discern which healing crystals are the right ones for you to be working with is to be open the vibrational frequency of the crystals themselves. If you are lucky enough to find crystals already in pairs, most of the “work” has been done for you. You simply “ask” which set of crystals resonate with you. How would you discern which ones are the right ones for you? Calm yourself, breathe deeply exhaling slowly and pass your left hand slowly over each set. The crystals which radiate a warmth or distinct sense of energy into the palm of your hand are the ones which resonate with you and your energy best. If you are unsure if what you are sensing or feeling is real, hold the crystals in the palms of your hands. Remember the point of the crystal in your left hand should be directed towards your wrist. The point of the crystal in your right hand is to be directed towards your fingers away from your wrist. It is important for the Quartz Healing Crystals to be held in each hand with the points both facing towards and away from you, allowing energy to flow through you. When working with a set of healing crystals, you become a channel, a conduit for Divine Energy to flow in to and out of your physical body. If the points are both facing away or towards you it blocks the natural flow. Once you have chosen which crystals you will work with. Cleanse and re-charge the crystals prior to using them for the first time. To cleanse and re-charge your crystals, rinse them in cool water, pass them over incense or place them in the Sun light for a few hours. Now you are ready to begin using your Healing Crystals. Quiet your mind, hold your crystals in your hands, breathe deeply exhaling slowly and speak the Invocation of Light 3 times. You may speak it aloud or silently to yourself. The Invocation of Light is: I invoke the Spark if Divinity within, I am a clear and perfect channel, Light is my guide. You will begin to feel a soft tingling vibration at first. It may take a little practice for you to actually feel or sense the energy from the crystals flowing though you. Whether you feel or sense the energy of the crystals flowing through you right away or not, trust that it is happening. The healing crystal in your left hand draws in pure energy from Divine Source. As the energy flows in to, through and out of your right hand, it takes with it all that is no longer needed. 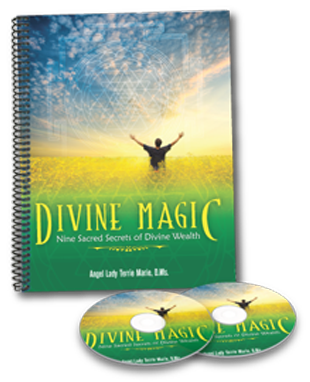 Meaning, as you open yourself to Divine Source, allowing Divine White Light to flow through you, all negative energy that has been collected, stored and become stagnant is purged from within you and your Aura. Remember your Aura is a direct reflection of what is and is not happening in your physical body. You can perform this simple self-healing technique on yourself by laying down, sitting in your mediation chair or standing up with your feet shoulder width apart. You may choose to allow yourself at least 10 to 15 minutes the first few times you practice this crystal healing technique. As you become comfortable, gaining confidence in you, you will begin to notice how differently your body feels. You will begin to feel and experience harmony and peacefulness more often and for longer periods of time. When you have completed your self-healing session, cleanse and re-charge the crystals. It is essential to increase your intake of water over the next 24 hours to complete your inner detox and healing process. This simple crystal healing technique is very effective. Working with crystals will enhance your daily life and expand your sense of conscious awareness. 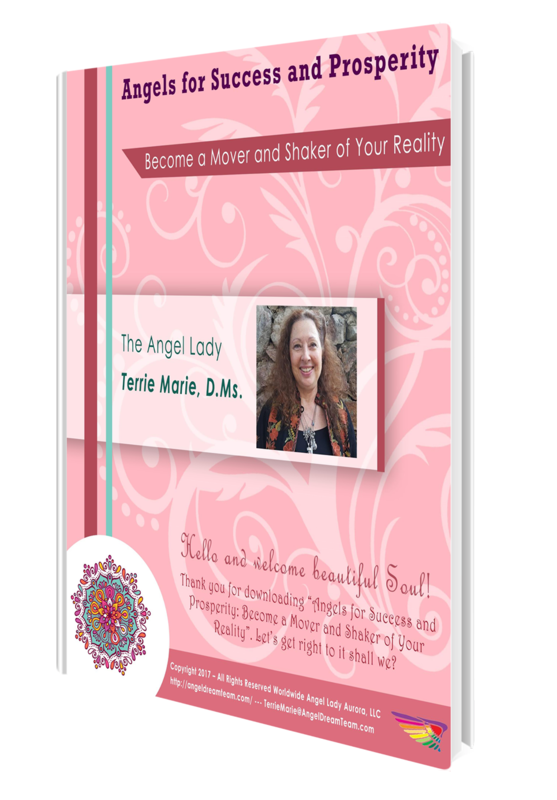 Connect with Terrie Marie and Angels every day when you click this link http://angelladytm.com/ from Terrie Marie, the Angel Lady and Desert Rose Healing Arts! Enter your name and email address to begin connecting with your own Spirituality! Energy permeates all things; it is an integral part of everything everywhere. Cleansing and balancing energy within and around you is essential for everyone. It is especially important if you are a Light Worker or working as a healer in any profession. One of the ways in which to re-align your energy is using crystals and minerals integrating all of your energy bodies, Aura and the Ethereal energy field. The four energy levels or energy bodies are physical, emotional, mental and Spiritual. Each energy body is represented by a specific color ray and corresponding crystals and minerals. Green balances the physical body. Pink or rose balances the emotional body. Blue balances and brings clarity to the mental body. Purple balances the Spiritual body. 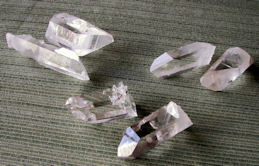 In addition you will also need a pair of Clear Quartz Healing crystals, one for each hand. 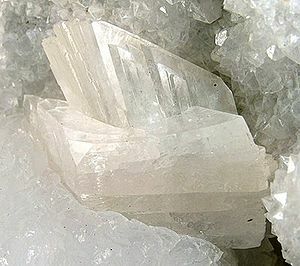 It is best if the Clear Quartz healers are at least 2 to 3 inches in length and about 1 inch thick or wide. Clear Quartz magnifies or intensifies the energy frequency of all other stones. which is best for you to use, take your time collecting just the right specimens. As a reminder it is essential to cleanse all crystals and minerals before you begin any energy healing session. It is also essential to cleanse and re-charge all your healing crystals by rinsing with cool water and placing them in the Sun light for a few hours at least once a week. Light cleansing in be-tween healings using sound and incense is adequate. The placement of the stones are as follows: green on the Solar Plexus Chakra, rose or pink on the Heart Chakra, blue on the Throat Chakra and purple on or at the Crown Chakra or directly on the Third Eye. Hold the Clear Quartz healers in both hands. The point in your left hand is to be directed towards your arm. The point in your right hand faces outward away from your body. Typically, energy flows in from the left, circulates and flows out the right of the physical body. Before you begin invoke Angelic White Light Protection or say a prayer of protection which resonates with you. The intention is to allow your physical body to be a clear and perfect channel allowing all only that which is of love and light to flow within and around you. If you are self-healing, lie face up placing your healing stones as stated, hold the Clear Quartz healers in your hands, focus on your breathing and allow all to simply be dissolved from you. Be willing to release all that no longer serves your highest and best good, your Higher-Self. By invoking protection prior to any energy healing session, you are connection with Divine Source Energy allowing your entire Be-ing to release all that it has collected and stored. You may choose to take a salt bath to deepen your energy cleansing session. It is important to drink extra water during the next 24 to 48 hours to continue the physical detox process.